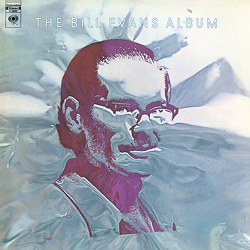 ﻿The global corporation Columbia recorded and released only two LPs with pianist Bill Evans. A meagre result when one considers the numerous concerts that the new trio undertook between 1969 and 1974. Together with Eddie Gomez, a phenomenon on the bass, and drummer Marty Mortell, the three established a firm – and ever better – trio. Evans became interested in the possibilities offered by the Fender Rhodes piano and used it for the first time in "The Bill Evans Album".